It is obvious this character who is now the head of the POPE`S PSNI has only one ambition in life. He wants to obtain a Papal Knighthood, just like the two reprobates Rupert Murdoch and Jimmy Saville. 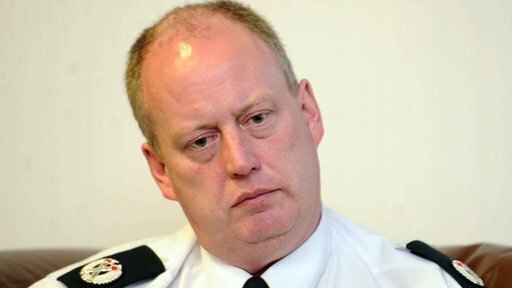 I am absolutely convinced the only people who serve in the PSNI are those people to whom God has sent a strong delusion. When you tell them the truth about the origins of the PSNI and its purpose they cannot understand it, they are too far gone. I was telling one gullible fool the PSNI was the product of the GFA and the GFA was incubated by the Jesuit George Mitchell. Mitchell is linked to the Jesuit Georgetown University and he does not even try to hide the fact. It is time all the “Unionist” parties remove themselves from all the policing boards.